08.00 - 08.30 am: Pick up at your hotel. We will visit the War Crime Museum (This museum tells the story of the war from the Vietnamese perspective. Exhibits include photographs, machinery, and weapons that depict the harsh realities of war). Continue Thien Hau Temple (One of the most important pagodas in the city, this richly decorated temple is dedicated to Thien Hau, the Goddess of the Sea and patron of sailors. She is said to travel over the oceans on a mat and ride the clouds to wherever she desires). China town (Settled in the late 18th century, this labyrinthine section of Ho Chi Minh City bustles with restaurants, temples, exotic stores, and markets) and Binh Tay market (This is the main marketplace in China Town, where a great deal of wholesale trading occurs. Experience the commotion of this integral part of the city's daily business). Then we have a lunch at the restaurant. 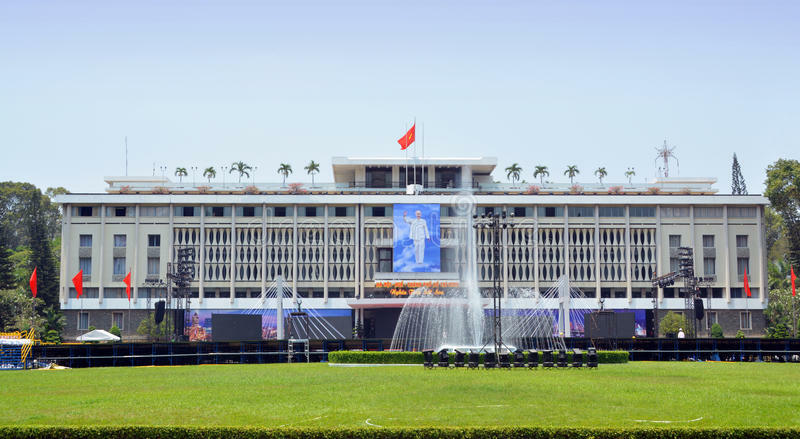 Afternoon: We visit Reunification Hall which was the residence of the President Ngo Dinh Diem of former South Vietnam until 1975 (the 1960s - Apr 1975s). You will see many interesting things: formal meeting rooms, private bedrooms, war situation rooms 10 meters beneath the earth’s level. This address today still holds many important functions in HO CHI MINH CITY. We have the guide who speaks your language (English speaking tour guide) to tell you important historical facts about this building and some French colonial structures including the Notre Dame Cathedral (Located in the heart of the city, this cathedral was built by the French in the late 1877s. A large statue of the Virgin Mary greets you as you walk into this neo-Romanesque cathedral, adorned by two tall spires flanking either side). General Post Office (Designed by Gustav Eiffel, the Post Office is a testament to the French presence in the late 1800s. The look and feel of this grand building are like an elegant railway station). Tour will end around at 17.00 pm in De Tham street - Pham Ngu Lao Street. – With Joining group tour, we will free pick-up (not drop off) at De Tham St, Bui Vien St, Pham Ngu Lao St, Le Lai St, Le Loi St, Le Duan St, Le Thanh Ton St, Dong Khoi St, Dist 1, HCMC, Vietnam. – Pick up from other streets in District 1: US$ 3.00/person.